Barça Lassa won two more points against a direct rival from their Champions League group A, Montpellier HB, the current champion of the competition. The Palau Blaugrana has become an impenetrable fort, and so it was again on Saturday thanks to a solid game from the hosts. Xavi Pascual’s side were full of energy from the first whistle and raced into a 4-1 lead. The French team increased the intensity and found themselves down 7-4 in the 9th minute, but two consecutive goals from Pálmarsson forced the Montpellier manager to stop the game (9-4). 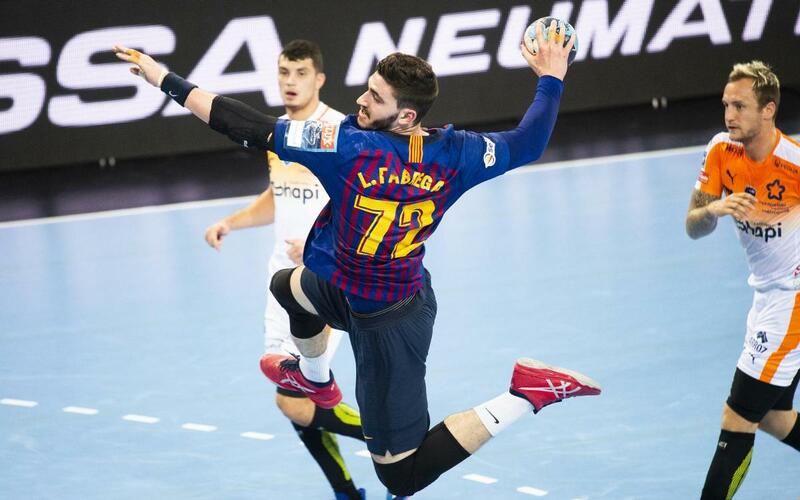 With the help of Mortensen and Fabregas, Barça Lassa went up another gear to take them to 18-13 at the break, a result that wouldn’t have been possible without Pérez de Vargas, who was immense between the posts. Barça continued to be very dynamic in the second half, but the French team were still in with a chance of drawing level with eight minutes left to play. That’s when the hosts put their foot on the accelerator again and pulled clear. Fàbregas and Mortensen were again at the hub of everything good that Barça did, and the final score of 35-27 was no less than they and their team-mates deserved.